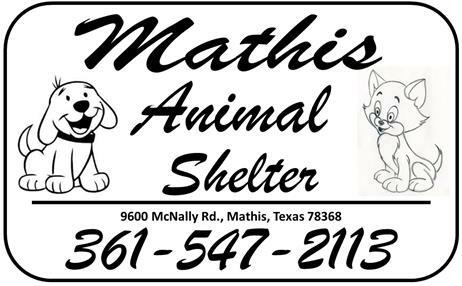 The City of Mathis Animal Control Division, primary duty is to protect citizens from dangerous and nuisance animals. Protection of the citizens is accomplished through the enforcement of various state statues and city ordinances. The animal control division is responsible for the maintenance and operation of the animal control shelter. Animal emergencies are answered 24 hours a day.